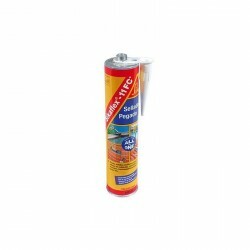 Sanitary Silicone is a one component fast-curing and ready-to-use silicone sealant for sanitary joints (acetoxy type). It will bond to form a durable, flexible waterproof seal on many common wet-area building materials. It is suitable for both indoor and outdoor applications. 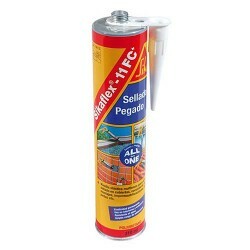 Flexible, single component silicone sealant using a neutral curing system, protecting against fungi and mould growth. Highly flexible and durable sealing, fully resistant to water. Features excellent adherence to most construction materials and substrates: glass, tiles, metals and most inductile plastics, in particular acrylic baths and shower trays. Neutral curing system does not cause corrosion of uncoated metal or concrete. The seal is durable, completely weatherproof, and UV-radiation resistant. Sealing locations subject to water action, such as bath tub edges, washbasins, showers, kitchen sinks, kitchen tops, water installations and for joining ceramic tiles. Can also be used for joining the following materials: aluminium, brass, copper, steel, zinc coated plates, most plastics and concrete.